Last August I applied for funding from the David Canter Trust, through the Devon Guild of Craftsmen to enable me to take a course at Hotbed Press. This award is made every other year, each time focusing on a different craft discipline. Last year was print, so I applied in August, and found out in December that I had been successful, and was able to pay the deposit on the Complete Letterpress Printer course! Originally I had wanted to take the Complete Printmaker course, but it was fully booked by the time I found out I got the funding, and I didn’t want to wait another year to start learning! 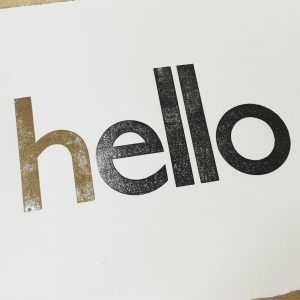 The emphasis in my funding application was on sharing my knowledge with others, so over the past few months I have been thinking about how I can do this with letterpress, through demonstrations and workshops. 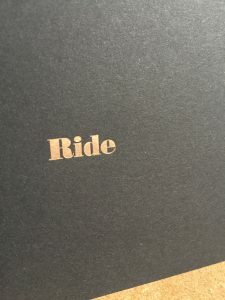 I had read about Nick Hand and his Printing Bike project, and thought it was an amazing idea, to be a mobile print workshop! I thought I could do a slightly more localised version of this, get an Adana press and a trailer for my bike, and take letterpress to those less able to access print studios. I started to look at presses on ebay, just to get an idea of price and what was out there. 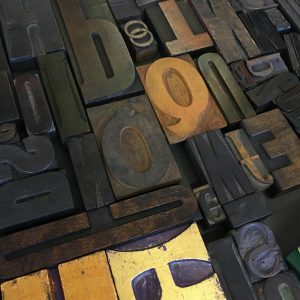 Presses and type go for crazy prices, letterpress has seen such a resurgence in popularity lately that people are getting caught up in wild bidding wars. 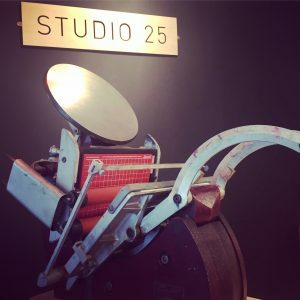 I was idly looking on instagram a couple of weeks ago and what popped up in my timeline, but an Adana 8×5 press for sale from a print studio in London! A SIGN! I swiftly emailed the director of the studio, and put in a offer. He got back to me with a counter offer, and said if I could come down to London the press was mine! So, in a characteristically hasty move, I took his offer and spent all my Christmas earnings before I’d even been to my first letterpress class. Sometimes you just have to take a risk, right?! Well, luckily I absolutely LOVED my first taste of letterpress! Everything about it is so beautiful and sensory, from the smell of the ink to the clunk of the press. Elizabeth Willow is such a great teacher, incredibly knowledgeable and patient. It was so nice to hear everyone’s reasons for taking the course, too, and how important we all felt it was to carve out some time for ourselves, and have permission to explore a new technique thoroughly. On Monday I travelled down to London to collect the press from Marcroy Smith at People of Print Studio. I was little nervous about how weighty the beast would be, I was armed with a £10 trolley from Clas Olhson, and a LOT of bungee cords. Marcroy was lovely, and helped me get it into a taxi. Wheeling it along was fine, but the less said about my stance on the escalators at Euston the better! Anyway, he’s all settled in at the Craft Centre now, and I’ve done my first test prints, using one of my linocuts and a precision mounting base in the chase. I don’t have any type yet, so if you, or anyone you know is selling some, let me know! I really think that a mobile press would be a most excellent thing, and will be setting up a Kickstarter to get funds for a trailer for my bike, and the accessories I’ll need to bring print to the people. I need a lot of type, ink, and paper! At the moment I’m trying to get a bit of interest going in the project, and put feelers out about the kind of rewards people would like, workshops, prints and that kind of thing, so get in touch if you have any feedback!